RMSC's Suzannah Mill's will be a Towson Tiger! Suzannah joins an already talented group of returning swimmers. She has what it takes to make an immediate positive impact in practice and at meets. RMSC's Grace Giddings Commits to UPenn. Giddings is a USA Swimming All-American from Sherwood High School and Rockville Montgomery Swim Club who specializes in the longer end of the freestyle range, as well as IM. She was runner-up in the 500 free (4:56.33) and took sixth in the 200 free (1:54.63) at the MPSSAA Class 4A/3A State Swimming Championships last February, helping Sherwood attain a second-place team finish in the girls’ meet. She achieved her best times in the 200/500/1000 free at the NCSA Spring Championship. She capped off a successful long-course season with new PBs in the 200/400 free and 200/400 IM. Eli Fouts (RMSC-Rockville) has verbally committed to attend school and swim for the Wisconsin Badgers. We are excited for Eli, his academic and athletic future. Fouts is a two-time USA Swimming Scholastic All-American from Quince Orchard High School. He is double-defending champion and Maryland 4A/3A record-holder in the 100 breast, and the defending champion in the 100 fly. At the 2017MPSSAA 4A/3A State Swim Championships in February, he propelled Quince Orchard to an 8th-place team finish with his individual titles in the 100 fly (50.39) and 100 breast (55.25 for the record), and contributions to the 200 medley relay (25.08 breast) and 400 free relay (46.79 anchor), which placed 2nd and 6th, respectively. Fouts again won the 100 fly and 100 breast at 2017 Washington Metros. He ranks #7 all-time for 15-16 boys in the 100 yard breast, having clocked the top time of 53.96 in prelims at NCSA Spring Championship. He wound up tied for 2nd in finals with 54.40. He also placed 4th in the 50 breast (25.21), 30th in the 50 fly (22.86), and 34th in the 200 breast (2:03.11). At the NCSA Summer Championship he was fourth in the 100 breast (1:03.79), 9th in the 50 breast (29.31), and 26th in the 50 fly (25.74). 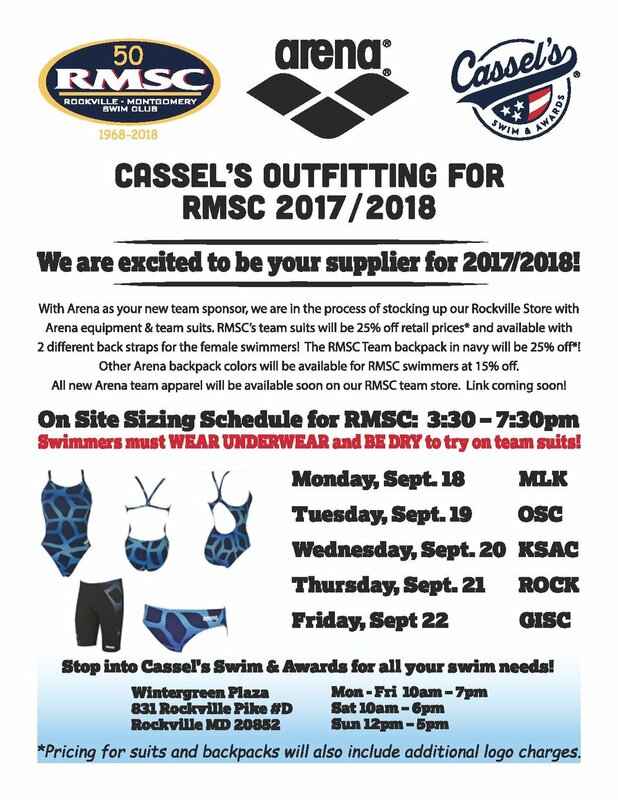 The break is over and RMSC has begun its return to the water. 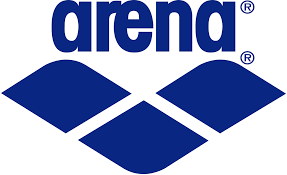 Our Coaches Invitation groups are already back in the water and Seniors, Juniors and Minis begin on September 11th. We will see everyone next week. A well deserved congratulation to all RMSC team members as the final meets of the season have concluded. We saw some wonderful progress throughout the season resulting in best times and a lot of new team records. Welcome home to our athletes who traveled to NCSA's, Sr.Zones and Eastern Zones. Rest and recover well, the new season is around the corner. Check out the hard work and the updated Boys and Girls Long Course records page. RED indicated a new team record. Red/Blue indicates a new team record as well as Potomac Valley Record. Voting is open for the ASCA Age Group Coach of the Year. 120 coaches nationwide have received the honor of nominee. RMSC Coaches Pat Tozzi and Dave Greene are amoung them. Cast your vote below to help propel them into the top 10. Voting closes on August 15th so cast your vote today. RMSC is pleased to learn that Madison Kelly, Jaycee Yegher, Madison Waechter and Alexa Stewart have committed to swimming in college. You can view the entire RMSC Collegiate selection list on the Team News: Academic Recognition page. Below you will find articles related to the 4 ladies mentioned above. RMSC is proud to announce that 7 of our team members have been selected as USA Swimming Scholastic All Americans for the 2015-2016 year. This list is comprised of athletes who excel in the classroom with a GPA of 3.5 or higher and achieve All American swims in the pool. It is truly and honor to be selected. Our deepest congratulations to each of you. The list can be viewed in the "Team News" drop down menu, under Academic Recognition. The City of Rockville produced a short video highlighting Jim Williams and his coaching commitment to RMSC - Rockville. This past year the 9-10 Girls from RMSC set 3 National Age Group Records. It seems the Boys wanted to make their mark on the year as well. Coach Brian Cheng has been voted the 2016 Potomac Valley Age Group Coach of the Year! We are deeply proud of Brian and his accomplishments this season. Brian's recognition came throughout a tremendous year by all of this swimmers. His season was highlighted as three members of his group represented RMSC on three separate National Age Group(NAG) relay records. Brian joins a exceptional group of past winners including RMSC's own Dave Greene, Dave Kraft and Kent Williams. Brian will be honored at the 2016 ASCA World Clinic in September. Swim Swam has published an article on RMSC Alumni Ellen Anderson, a Senior at Northwestern University. Click Here to read about Ellen and her experiences as a swimmer as she readies herself for her final BIG10 Championship.